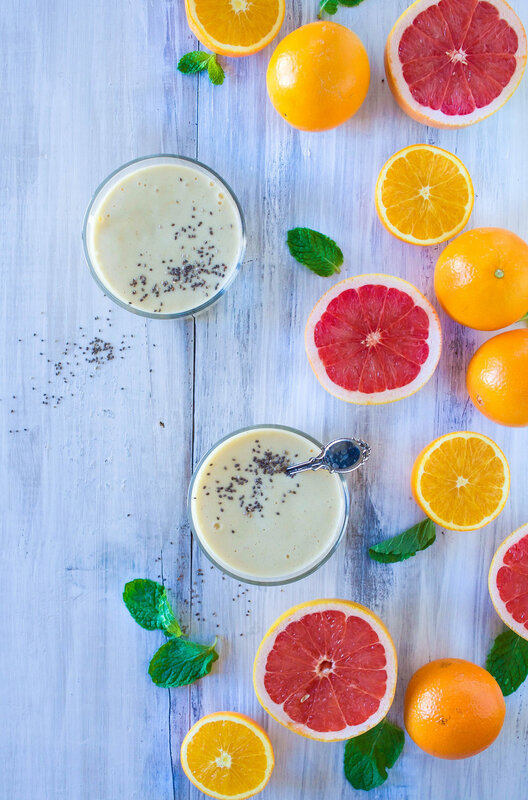 I've posted the recipe for this CITRUS & VANILLA SMOOTHIE down below. I think you guys will love it. It's real simple... banana, orange, mango (so cheap frozen at Trader Joe's), almond milk, & some protein powder. Easy peasy, just how I like it. *QUICK TIP* before I go, I just wanted to share that I've been prepping my smoothies the night before and it really helps me out in the morning. I usually leave the house with wet hair if this gives you any idea what kind of morning person I am... So having all my smoothie ingredients in the same container, ready to just be thrown in the blender the next day, is a GAME CHANGER. I'm off to a fitting, but check back tomorrow because I'm going to be sharing an easy plant-based meal prep that is SO GOOD. Combine all ingredients in blender and puree until smooth. Enjoy!